October being breast cancer awareness month, from Sharpie Pens to Smashbox,see what products are playing their part to support the cause. We all buy stuff , why not buy something that supports the cause and help donate a part of their proceeds to the research fund if you are not already.Apart from the regular self exams and the healthy diet and exercise for our own self, these are what we can do to show our support. Contributing to Breast Cancer Awareness Month doesn’t get much easier than this! Simply pick up this pretty pink gloss in a limited-edition package, and all proceeds starting today through October will go toward the Breast Cancer Research Foundation. The silky-smooth lip color stays put for up to 6 hours and protects your pout with SPF 15. 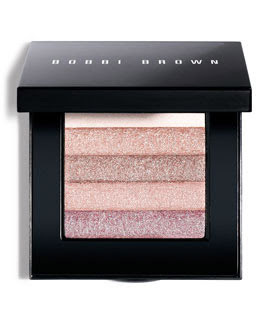 In support of Breast Cancer Awareness Month, Bobbi created this limited-edition Pink Shimmer Brick Compact. This shimmering, brush-on powder creates a soft, light pink glow. Enjoy Free Standard Shipping as our thank you with your purchase of this item the month of October. A gorgeous way to show your support of Breast Cancer Awareness. Includes full-size lipsticks in shades hand-selected by Evelyn Lauder: Candy, Rubellite and Tiramisu, all in a Pink Croc-Print Clutch. Best of all, the Estée Lauder Pink Ribbon Collection helps raise awareness that early detection saves lives.